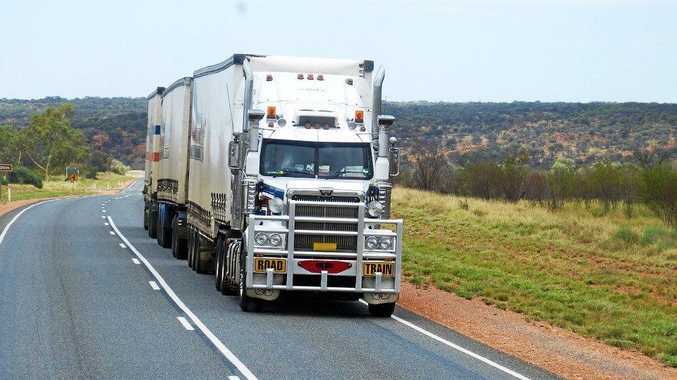 A TRUCKIE who's been hauling for three decades has described mandatory logbooks as "complicated", "confusing" and just plain "bulls**t". Scott William Bailey was pulled over by police on July 6 on the Bruce Highway at Bloomsbury, while driving south to Rockhampton, following a drop-off at Townsville. Officers fined him for a minor speeding offence and after checking his logbook, they hit Bailey with the charge of resting less than the minimum time. The 46-year-old was supposed to rest for seven hours, but his logbook indicated he had only rested for three and a half hours. "When questioned the defendant was argumentative and could not see where he went wrong," prosecutor Shelby Larcombe told Mackay Magistrates Court. "The defendant stated that work diaries are complicated, confusing and he believed that completing a work diary was bulls**t.
"The defendant also accused police of being liars and interpreting legislation how they see fit." When facing the court on Monday, unrepresented by a lawyer, the Rockhampton man told Magistrate John Aberdeen it was a simple logbook mistake made out of confusion. "We're all human. How is this fair?" he pleaded. But Mr Aberdeen indicated any minor mistakes police made in paperwork were not relevant to the situation at hand. Bailey's history did not include any other logbook offences, Ms Larcombe noted. Mr Aberdeen told Bailey the maximum penalty for resting less than the minimum time is a $15,000 fine. But he said it was Bailey's first offence and called for a fine of $1200. Bailey said he will likely lose his licence for a time, due to the demerit points linked to the speeding and resting less than minimum offences.